Gorgeous charcoal gray background with darling turquoise and white bicycles. Handmade of 100% top quality designer cotton. 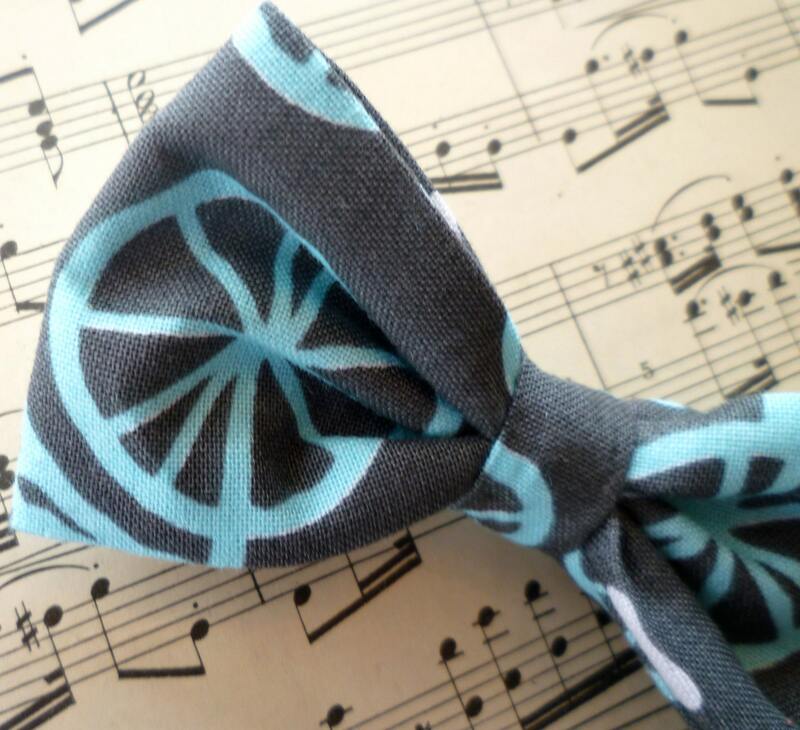 This tie is perfect for a wedding, photos, Easter or any occasion.